John Calvin School decided that their high standard of image and need for security would best be served by upgrading their existing fence and getting the industry-leading product on the market. The school called on K-Line Fencing Group’s expertise to plan, supply and install a Heavy Duty garrison steel security fencing solution, for both a fully secure and stylish result. 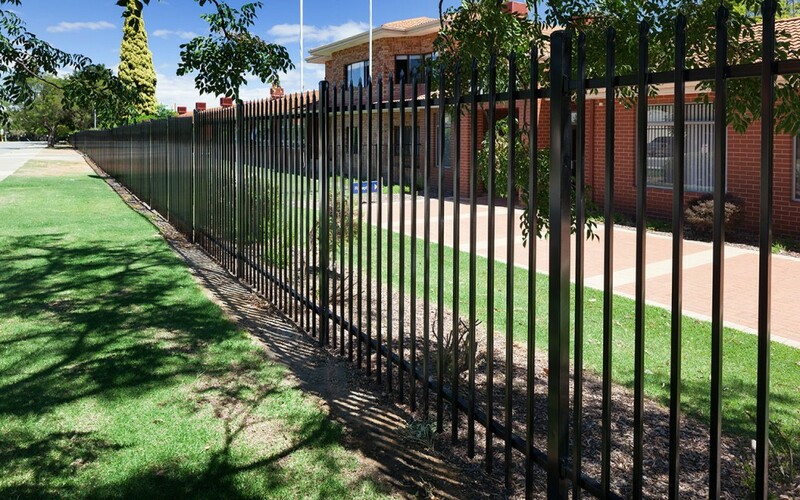 The upgrade from chain wire to garrison fencing is a popular one, and we knew from the outset that our premium garrison product would immediately step up their security while dramatically improving the school’s presentation. In the end, for the most reliable fencing solution, we used a combination of our premium garrison security fencing product, with automated sliding gates and the addition of tubular steel fencing. The tubular fencing was used as a divider between pedestrian paths and driveways, helping guide people to cross the school’s driveway safely. John Calvin was extremely happy with the job, which included a free consultation and quote, choice and design of premier fencing product, and our precision installation and follow-up service. In fact, they have since referred us on to a range of other schools and companies. We thank them for considering us trusted fencing professionals, and it was a pleasure working with them.